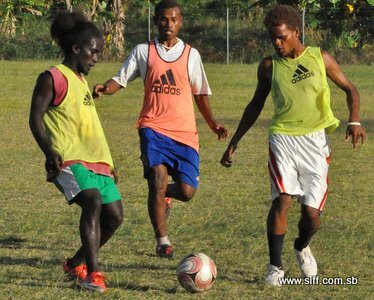 The Solomon Islands Football Federation (SIFF) competitions department is calling on the head of delegation and team manager for each participating team to attend the meeting because important matters relating to the championship will be discussed. The draws for the championship will be conducted during the meeting and the fixtures will be based on the outcome of the draws. The number of teams to participate in the championship may increase at the last minute following requests from Temotu and Choiseul to be included in competition line up. However, the confirmation on who will participate and who will not will be made known to the public tomorrow when all teams have submitted their forms for the championship. The SIFF competitions department is issuing out information packs to the participating teams and teams who have not collected theirs are advised to see the SIFF secretary between 10:00am and 12:00n tomorrow. The technical meeting is scheduled for 3:00pm and will be held at the SIFF headquarters in Honiara.